"After years of research Dr. Perricone arrived at the conclusion that cellular inflammation may be the underlying cause of wrinkles. According to Dr. Perricone, this inflammation is not the redness that is visible to the naked eye but rather microscopic irritation that takes place in your cells leading to cellular damage. He believes that this inflammation is responsible for skin-related problems like breakouts, wrinkles, and loss of firmness. Dr. Perricone's holistic approach to aging treats this inflammation in three ways: through diet, nutriceutical supplements, and his award-winning line of skin care products and cosmeceuticals. Through his program this type of inflammation can be stopped, which slows down the skin's aging process and even reverses existing damage. The effects of this program are not only visible externally but will enhance your life with better overall health and increased energy." I am sure that I am not the only woman who is concerned about the wrinkles slowly creeping up on my face. No one else admits to noticing them yet, but every time I look in the mirror, fine lines and wrinkles are all that I see! I am a firm believer in taking care of my skin, so I want to do whatever I can now to protect my face now and hopefully minimize the amount of wrinkles that I will have to deal with later in life. I have been using anti wrinkle products for quite a few years, but none seem to be very effective. Some even leave my face feeling greasy or like it has a thick coating on it. Yuck! 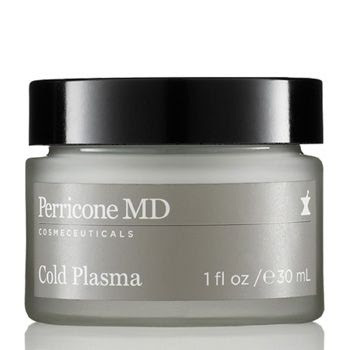 I have had the opportunity to try the Cold Plasma cream. Cold Plasma helps correct the ten most visible signs of aging: wrinkles, enlarged pores, dryness, redness, discoloration, uneven skin tone, impurities, loss of firmness, loss of smoothness, and loss of radiance. Though I have only had the Cold Plasma for a few days, I can honestly say that I really like it. It feels great on my face, and doesn't leave behind any greasy or thick feeling. I plan to continue to use the product to give my skin it's best chance at looking young for as long as possible! I can honestly say that this product is the best anti wrinkle treatment that I have ever tried. WIN IT! Perricone MD is going to give one lucky reader their choice of one product valued up to $150!! Isn't that awesome?? Visit Perricone MD, then come back and tell me which item you would choose should you win! Follow me on Twitter and tweet about this giveaway! (Leave your Twitter name and a link) You can tweet this daily: " $150 Perricone MD giveaway at Opinions of a Moody Mama #giveaway @coopersmommy http://tinyurl.com/4b69pra PLEASE RT! " I would love to try the Skin Clear Cleanser, Toner, and Hydrator! I love the Cold Plasma - I think it would make my skin to pretty! Id like to try the Skin Clear Cleanser. I would choose the intensive pore minimizer. I would buy the Concentrated Restorative Treatment and lip plumper. +1 I voted for you at mommies Faves Top Blogs. +2 I voted for you at mommies Faves Top Blogs. I would choose the Cold Plasma to fight signs of aging. I'd choose the Cold Plasma Eye. I need it - BAD! I would definitely choose the Cold Plasma! I'd love to try the Cold Plasma. 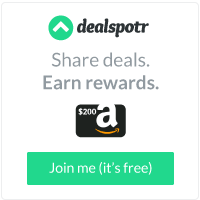 I've read and heard about it and it sounds like a good product. Thanks! I would choose the Cold Plasma-seems to be their best seller. I'd definitely get the Cold Plasma - I seen such positive things about it! If I win I would choose Cold Plasma. I was to see what the buzz is all about. I would definitely get the Cold Plasma! I have heard so many amazing things about it, and am seriously dying to try it! I would love their Skin Clear Hydrator and the Cold Plasma Eye! i would get the cold plasma. I would chose the Advanced Face Firming Activator ! It would have to be the Cold Plasma. I had a smaple of it and loved it! Voted for you on Mommies Faves. If I won I would choose the Cold Plasma, I hear it works great for redness and dryness. I would choose the Cold Plasma for sure! I have seen lots of great reviews about that product. Voted for you at Mommies Faves Top Blogs. Gwen G.
Like Opinions of a Moody Mama on FB. Diamond G.
If I was the lucky winner I would pick cold plasma because I have read so many great reviews on this product.